Relax in cozy guest spaces. Absorb the peaceful ashram setting. morning sadhana, and weekend ashram social events. Retreats are available as gifts to a loved one. A retreat experience is a memorable experience, an opportunity to focus on health and happiness. 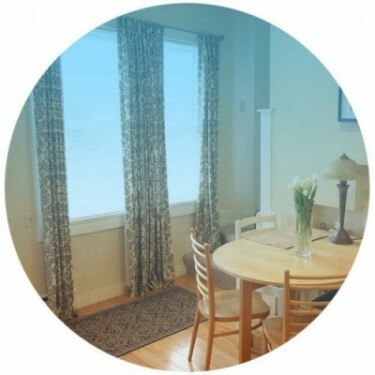 Each guest apartment has a fully equipped kitchen, access to a clothes washer and dryer and Wi-Fi access. Nearby destinations include several Trustees of Reservations walking paths and Stonybrook Wildlife Sanctuary. There are several nearby sites to put in a kayak on the peaceful, winding Charles River: a great site for bird watching while paddling! Overnight stay is $55 per night. Make it a Yoga Get Away at $75 for one night and add 48 hours of unlimited yoga daily classes & gong events (does not apply to workshops or trainings) Call the office to determine package vs a la carte for your stay to secure the best pricing for the times of your visit. “This ashram has provided me with some of my most peaceful retreats. I have also met many beautiful people here.